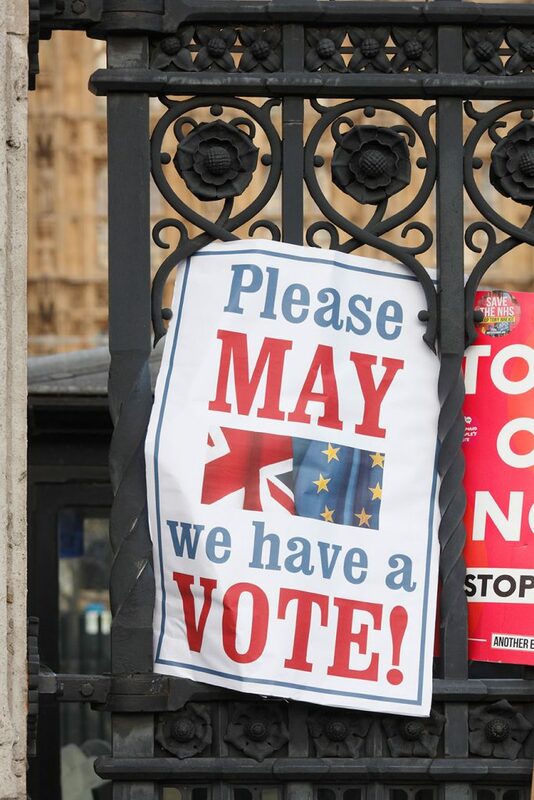 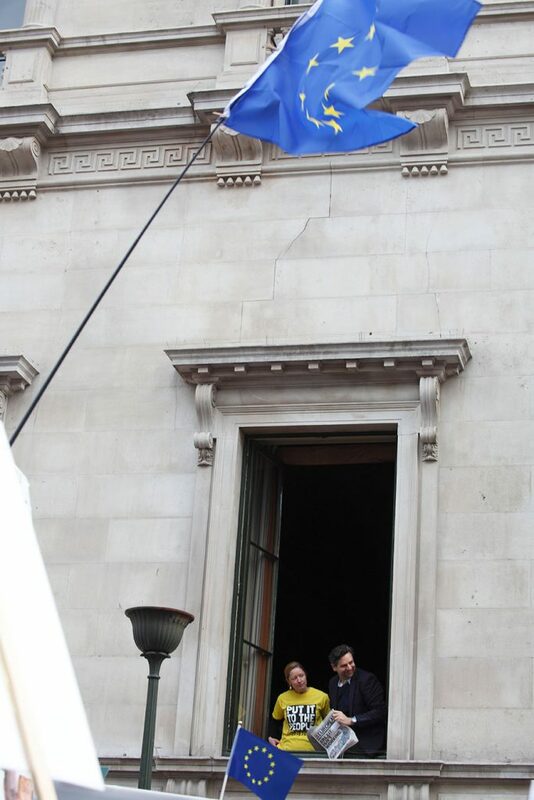 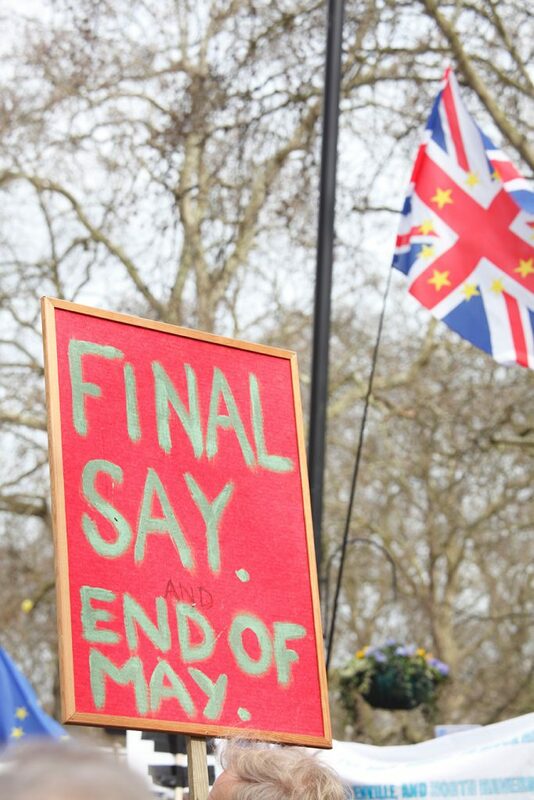 It’s the 29th March 2019, and the 2 year countdown since Article 50 was triggered, has now expired, but thankfully we are still in the EU, although who knows for how much longer. 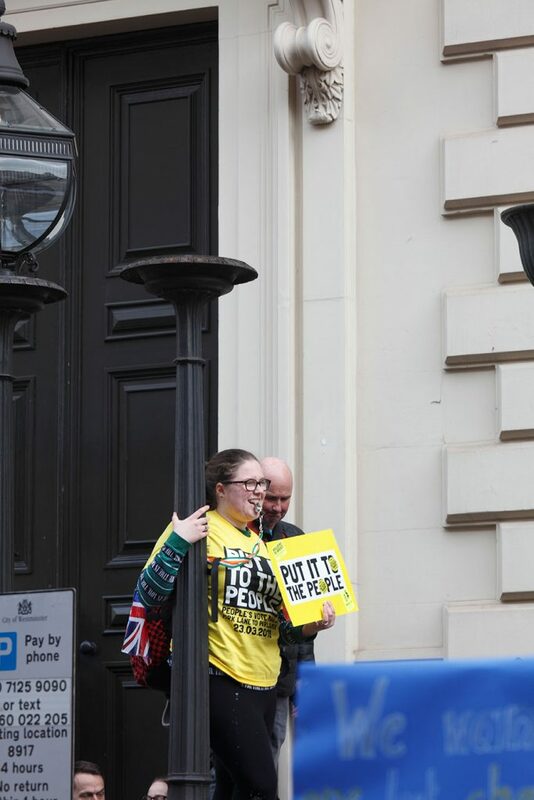 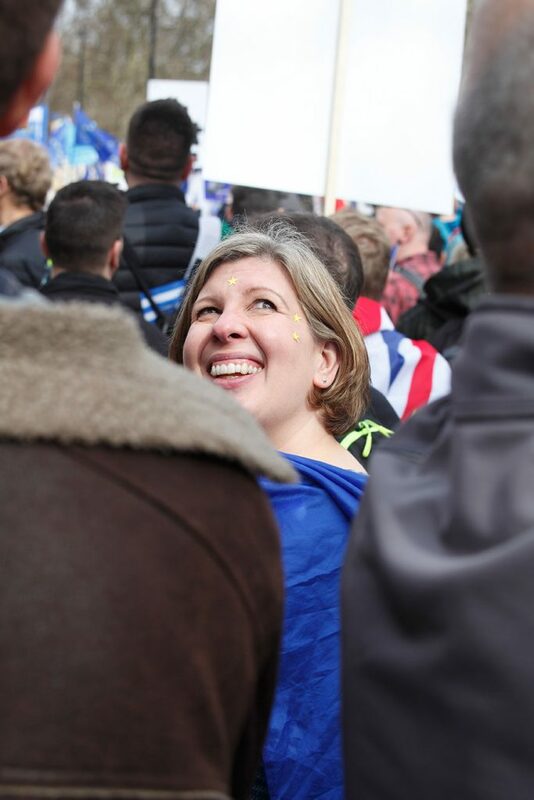 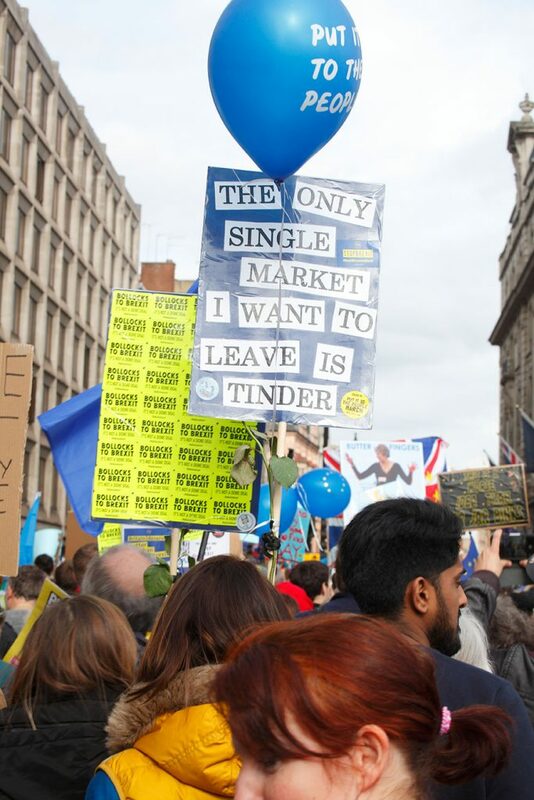 Before the referendum on 23rd June 2016, the only marches I had been on, were the annual Pride celebrations, and the last one of those I went on, was probably back in the 90s. 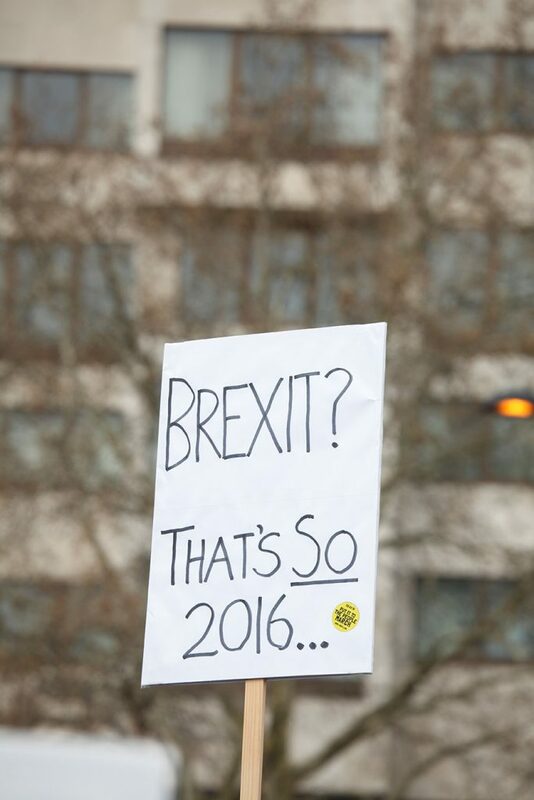 In the last 3 years however, I’ve been making up for lost time, having attended 3 anti Brexit marches, plus an anti Trump one to boot. 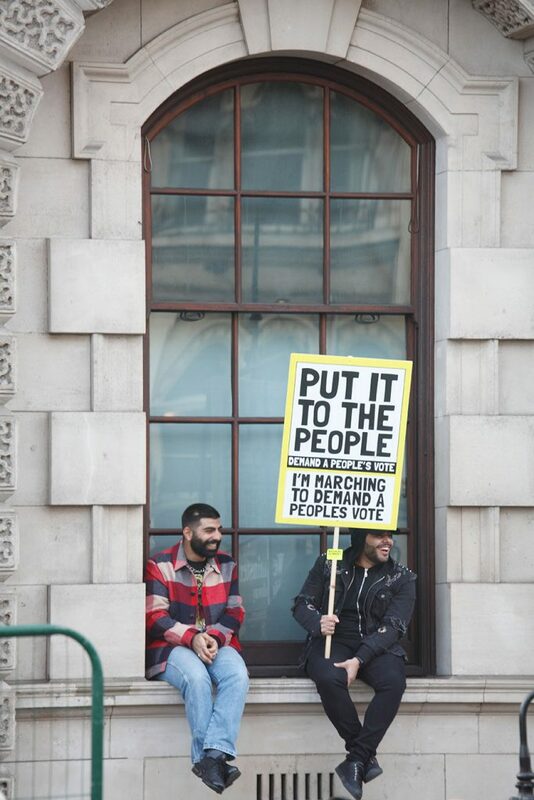 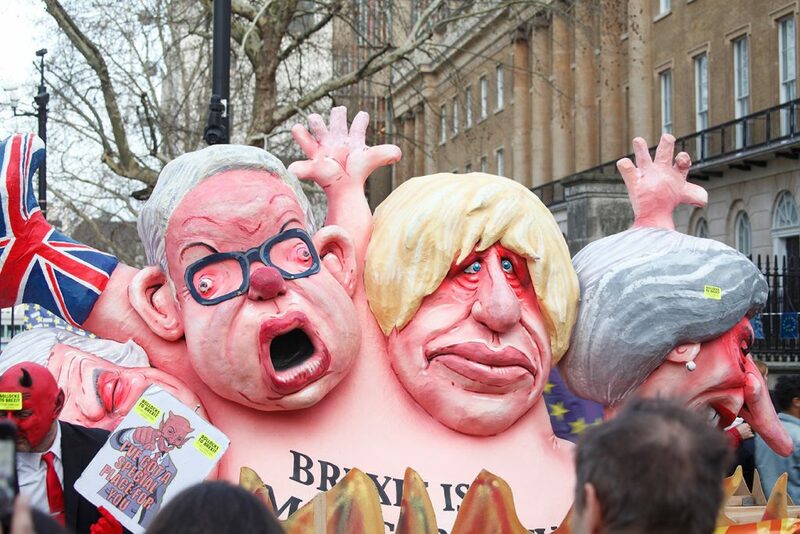 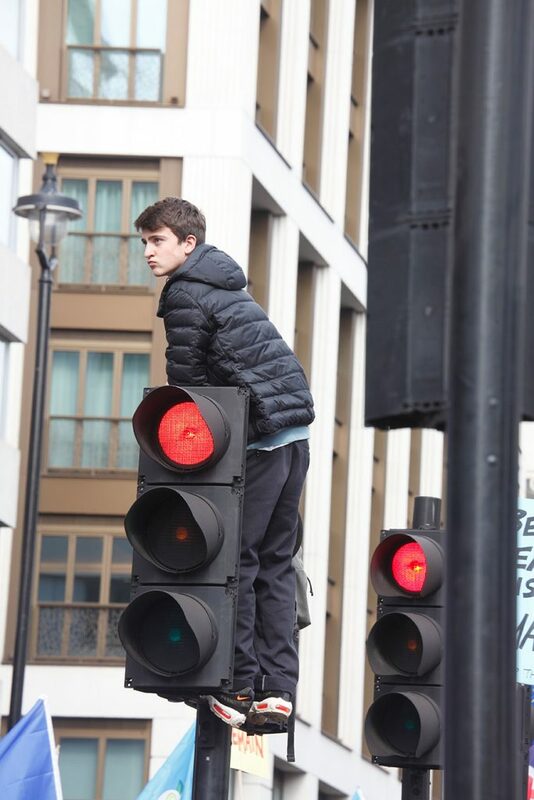 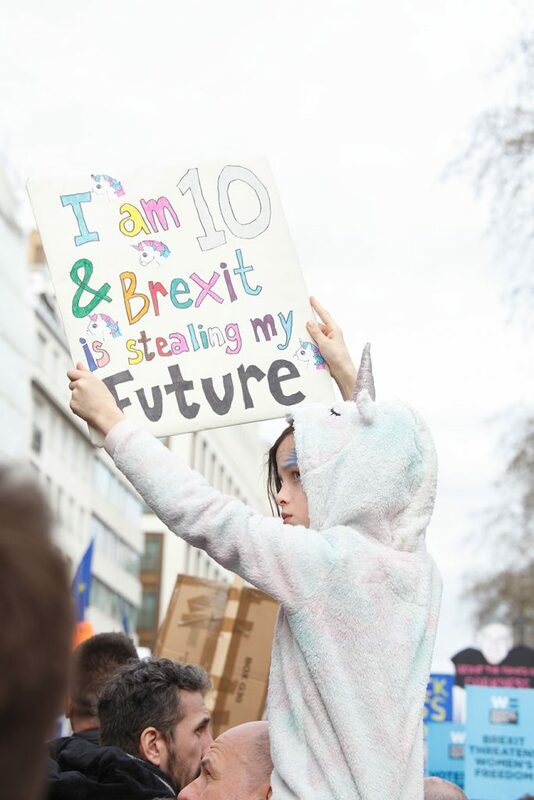 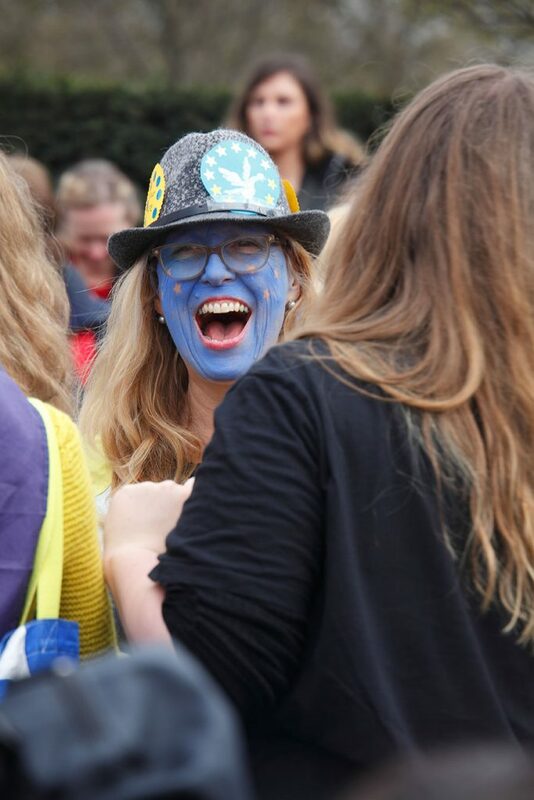 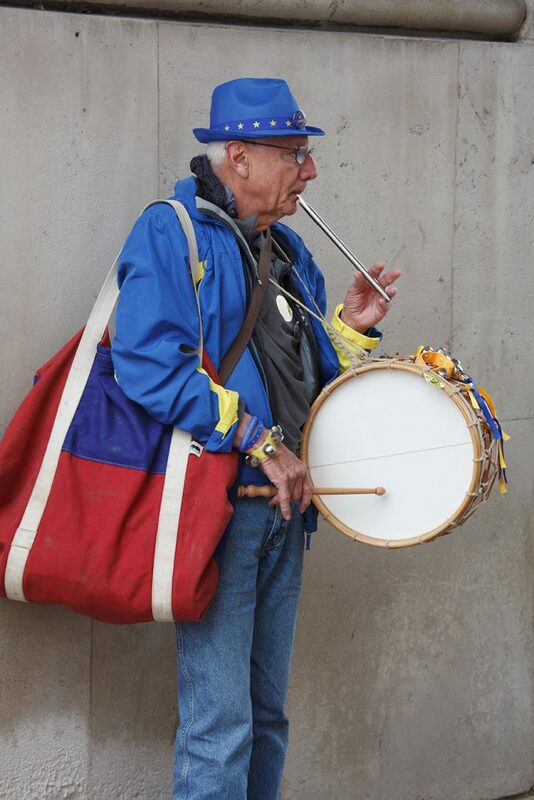 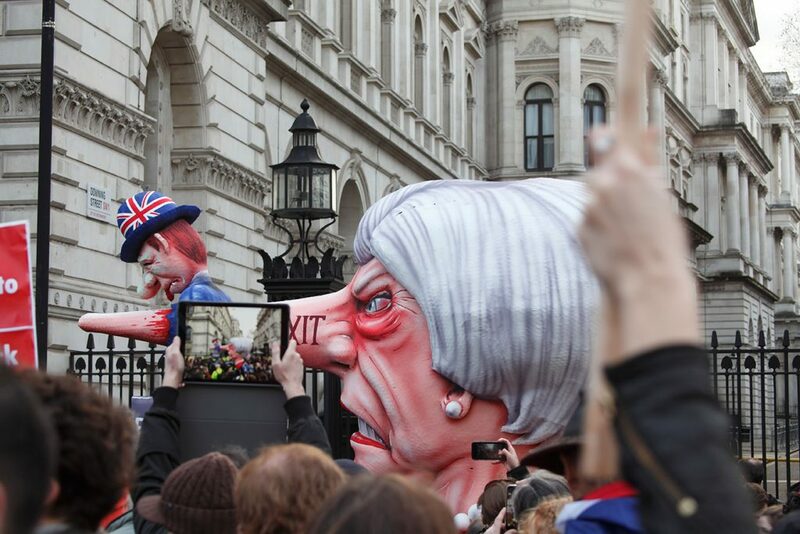 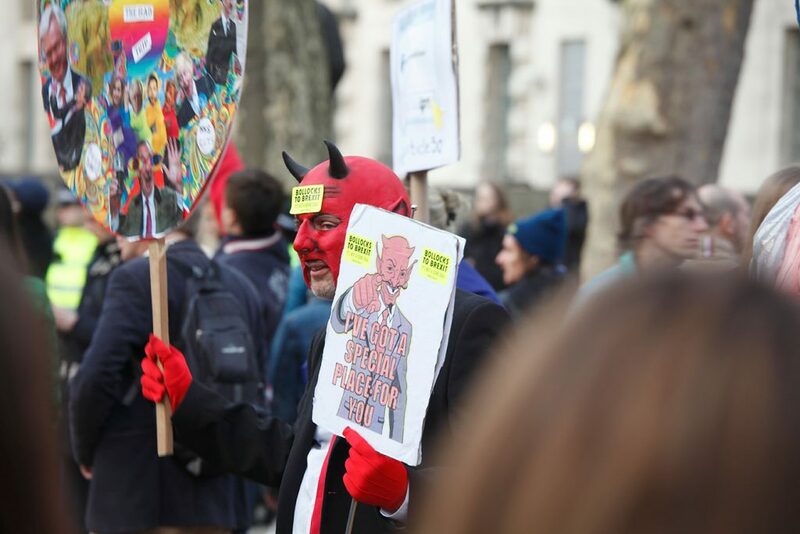 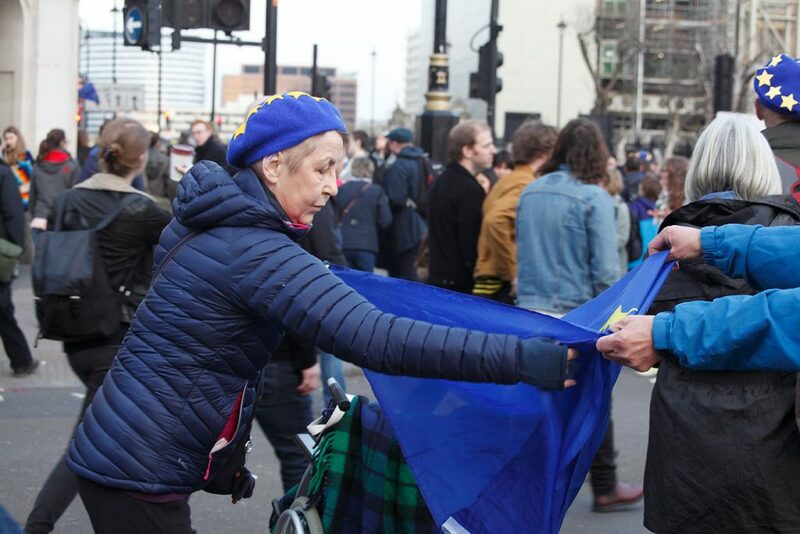 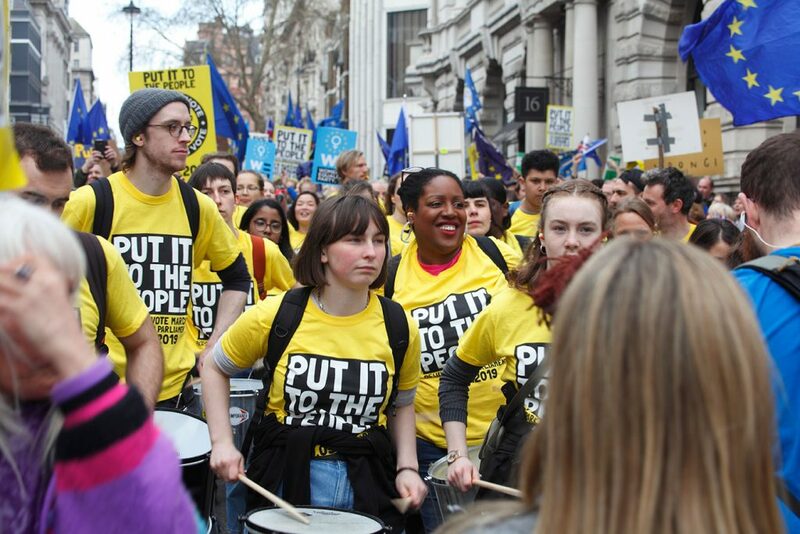 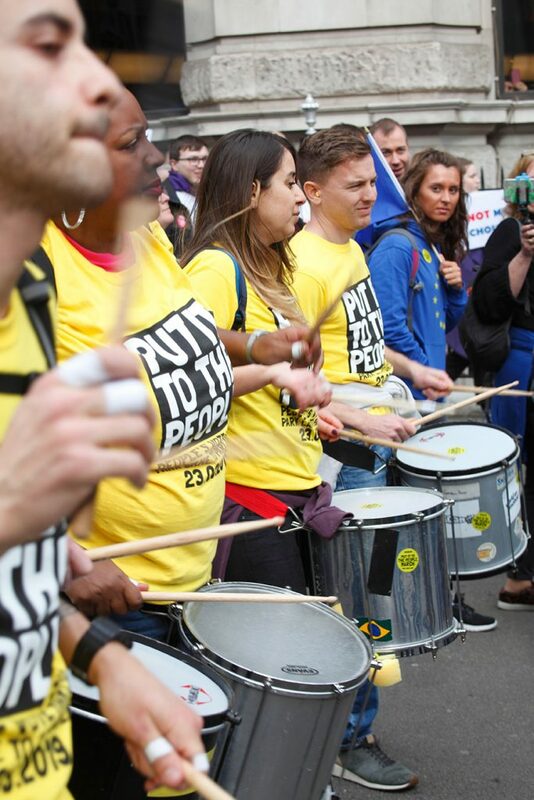 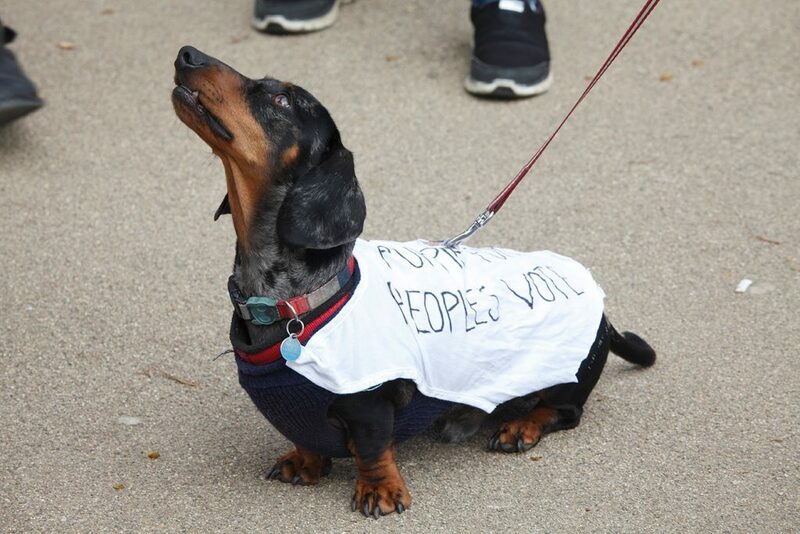 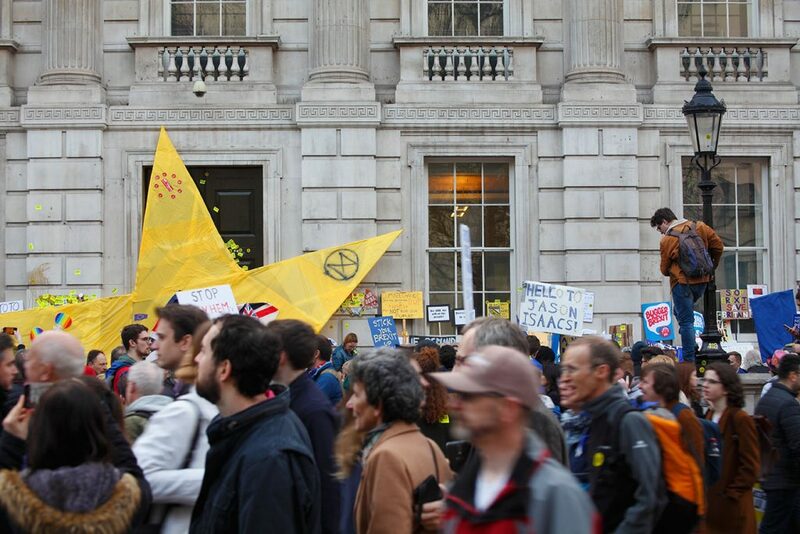 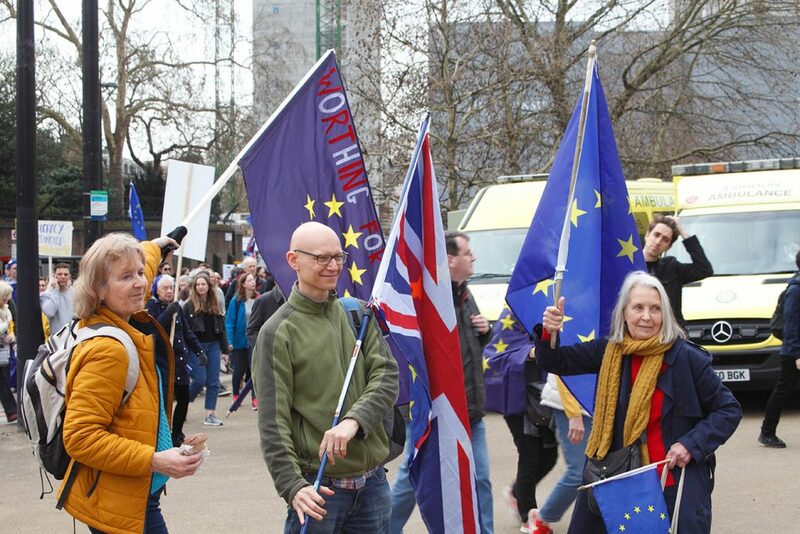 They’ve all been incredibly positive and uplifting experiences, with the most recent one, last Saturday, being one of the largest marches London has ever seen. 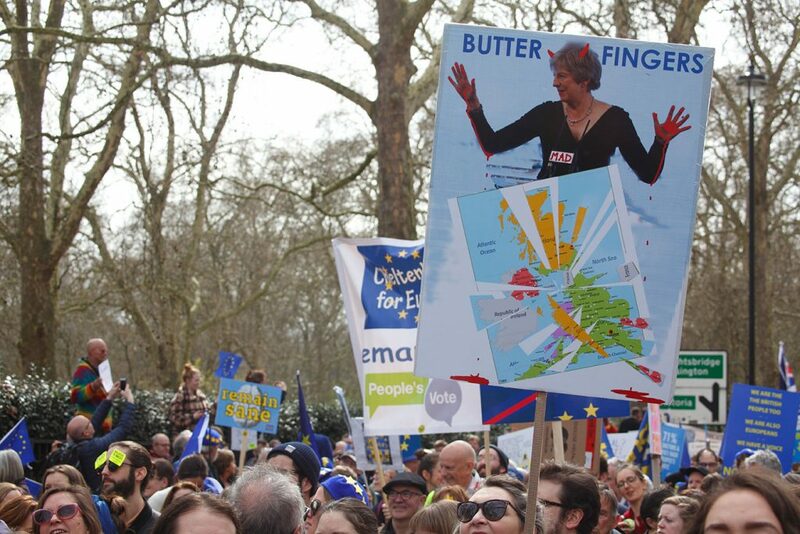 The route, like many marches before it, ran from Park Lane to Parliament Square. 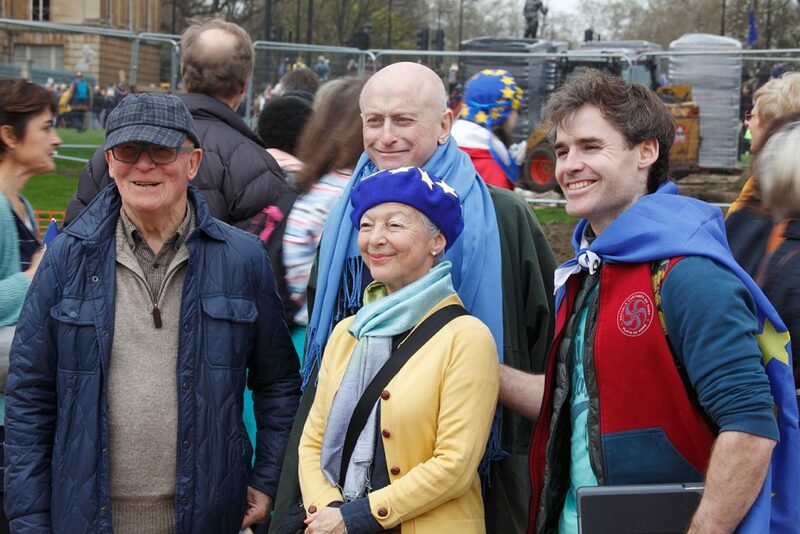 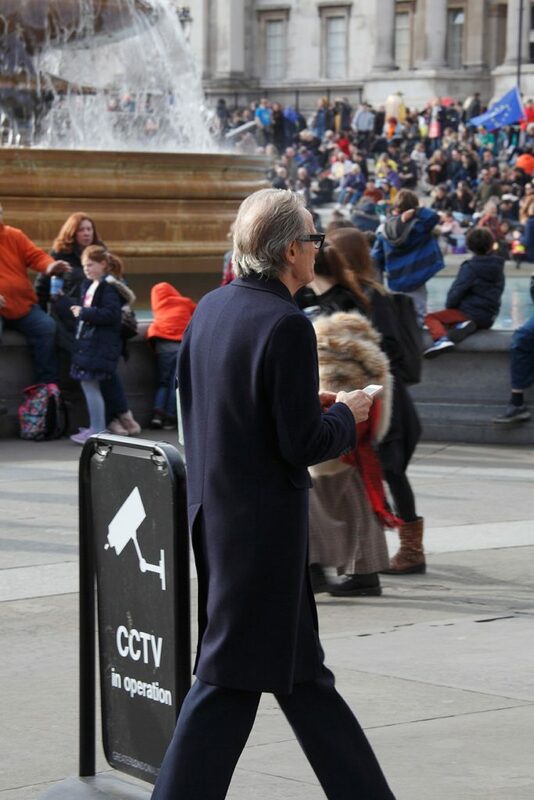 I joined the throng, armed with my camera, at Hyde Park Corner. 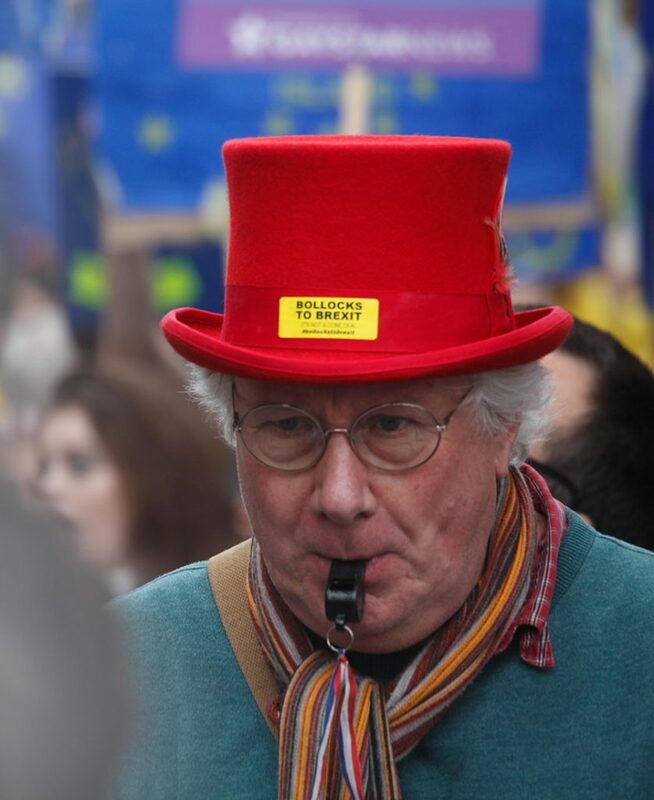 As a photographer, I couldn’t help but be drawn by the colour and spectacle of it all. 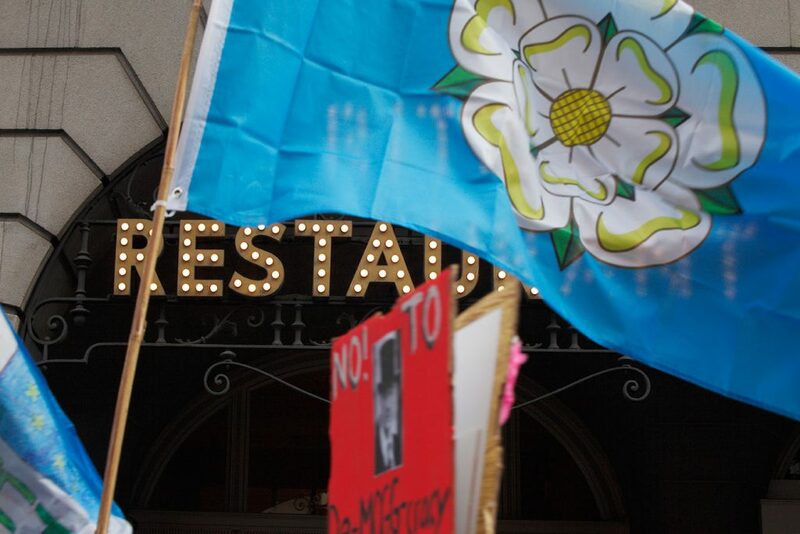 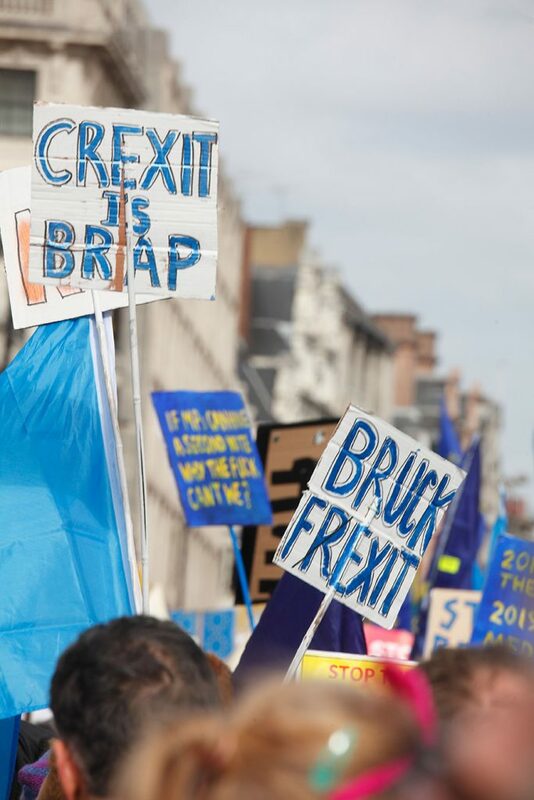 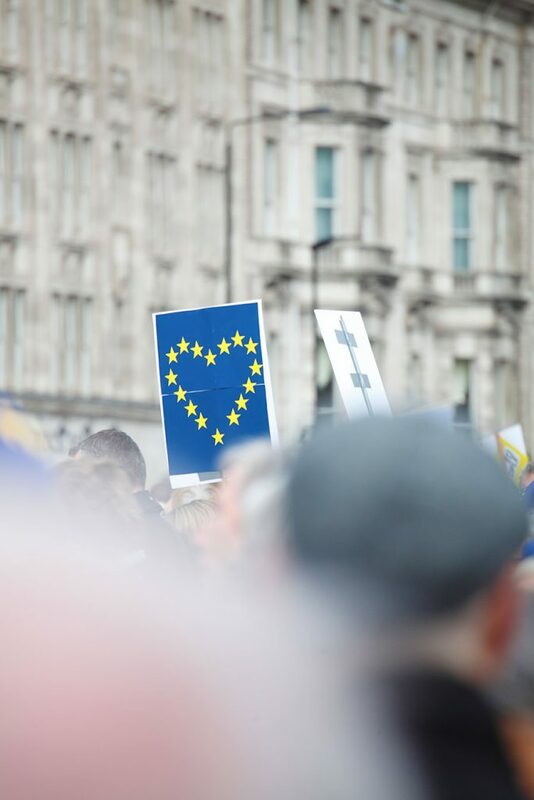 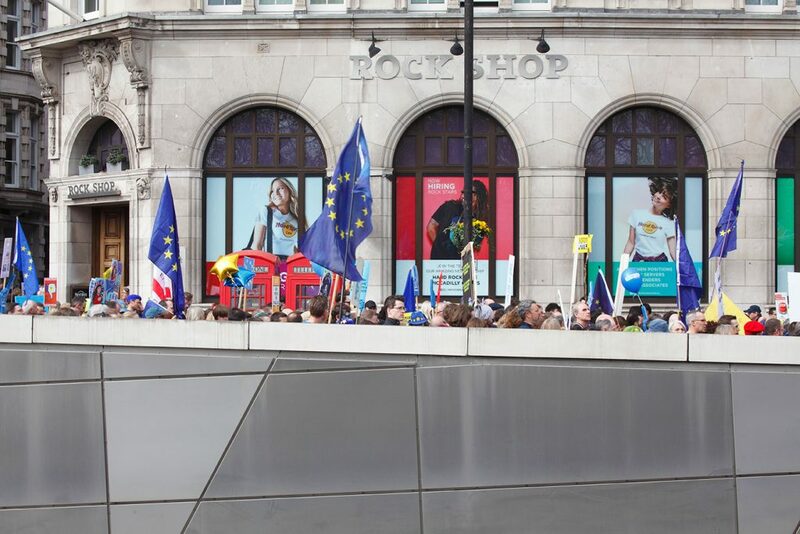 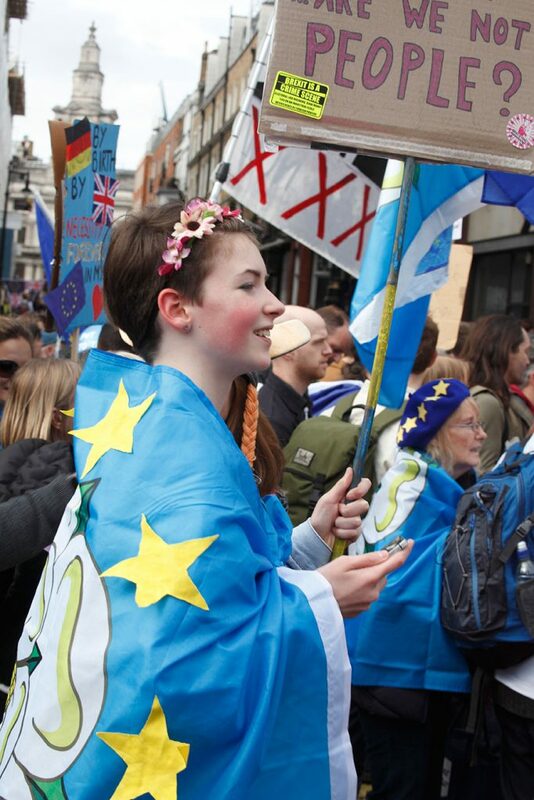 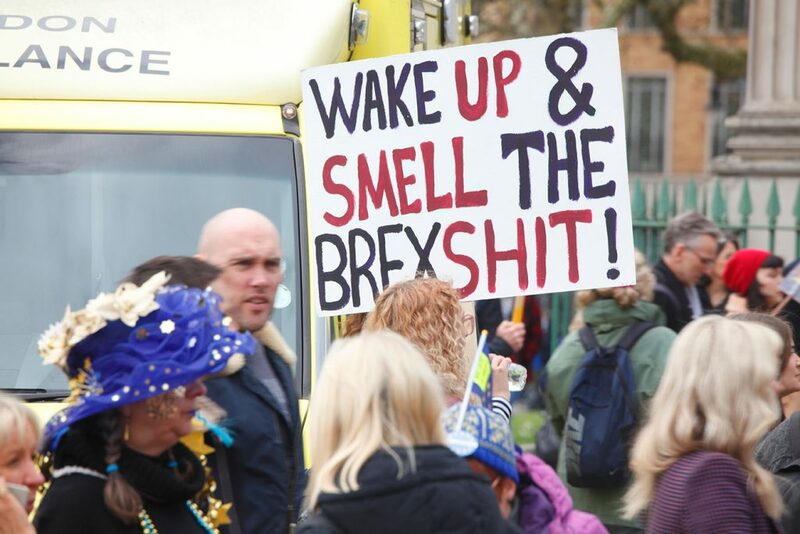 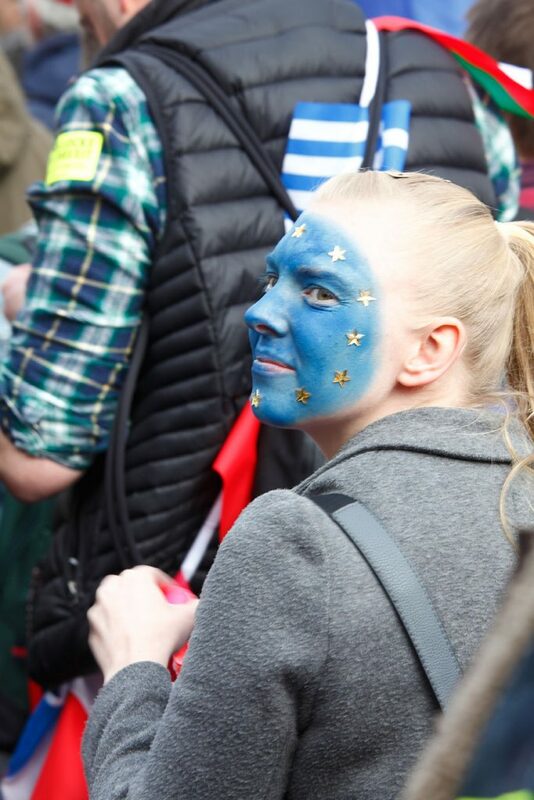 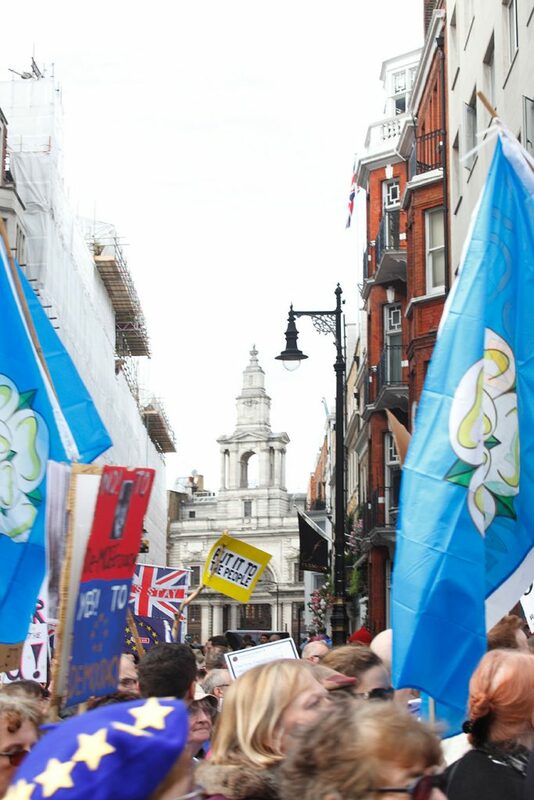 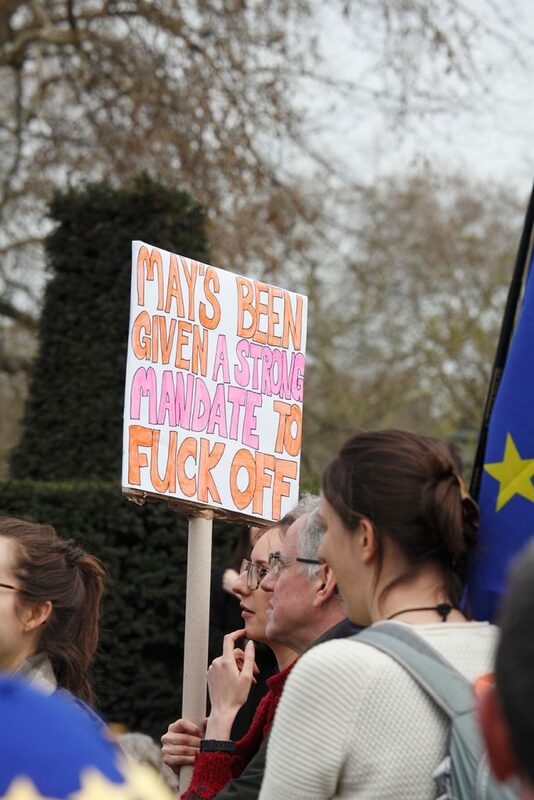 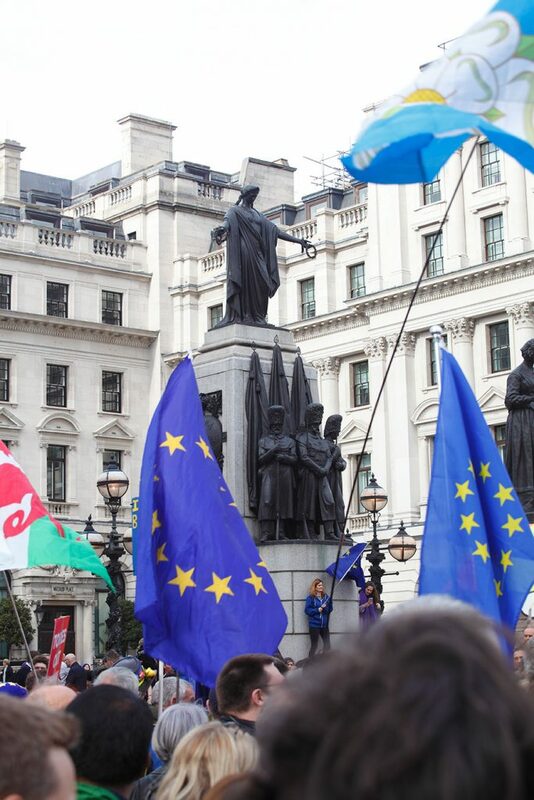 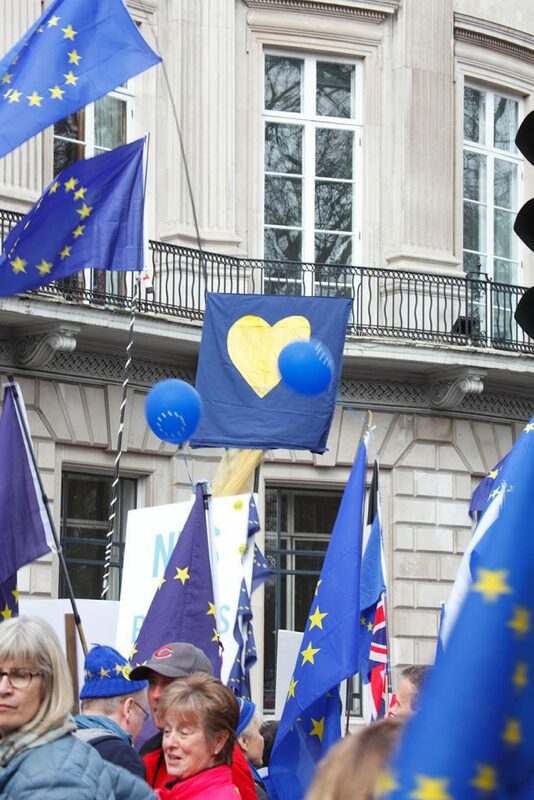 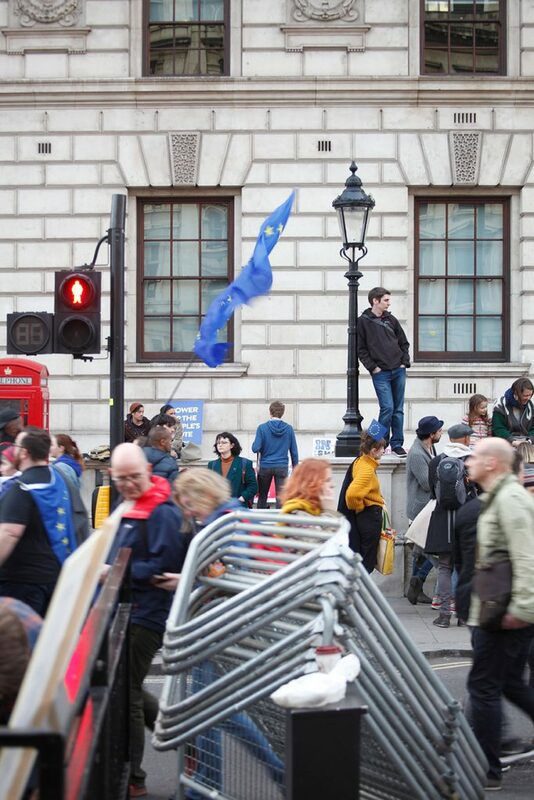 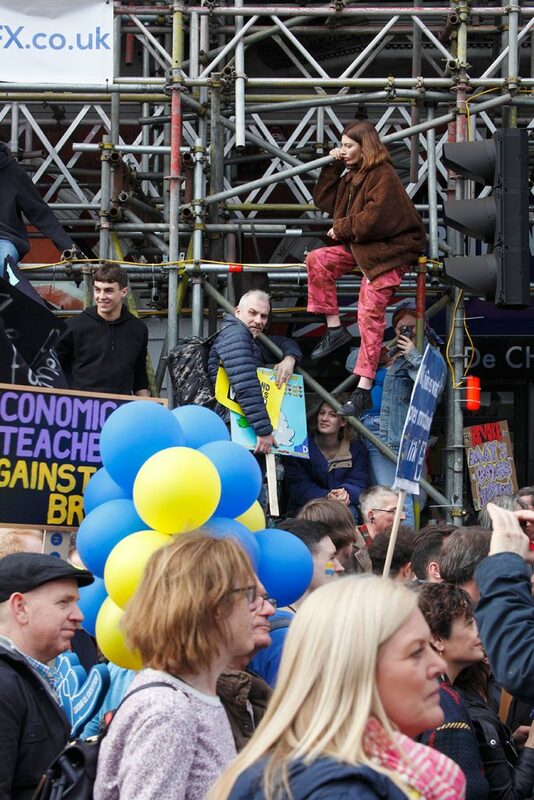 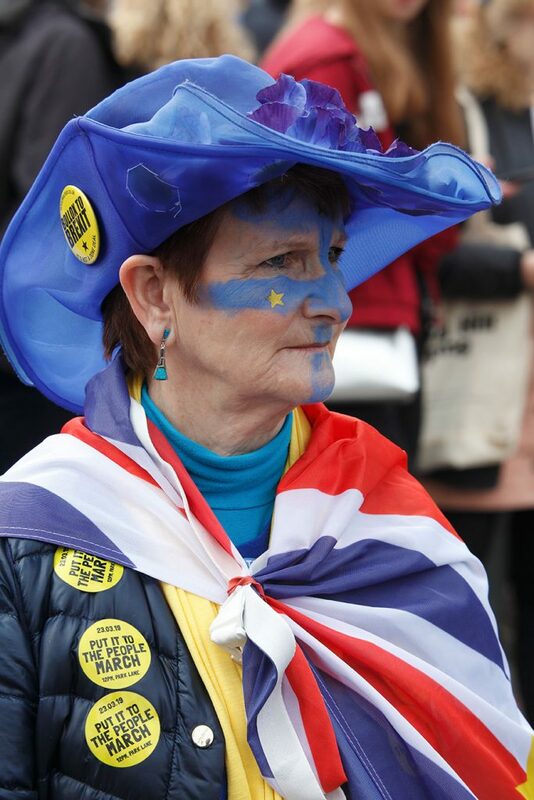 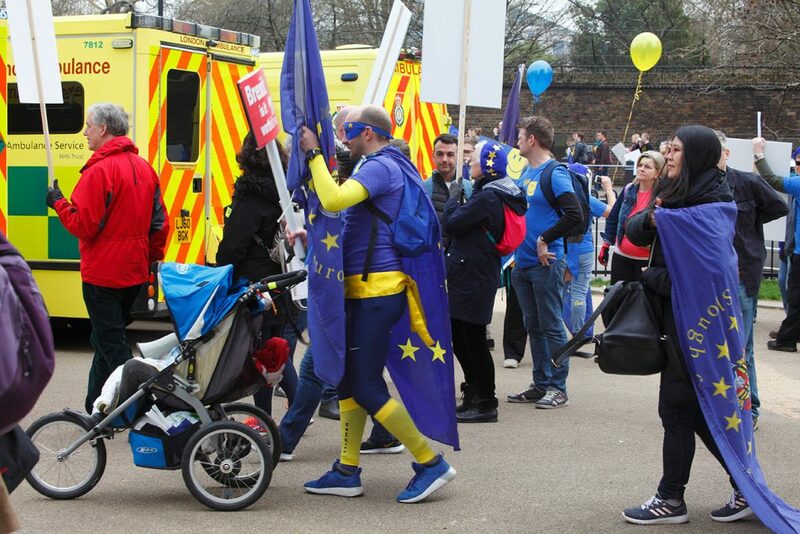 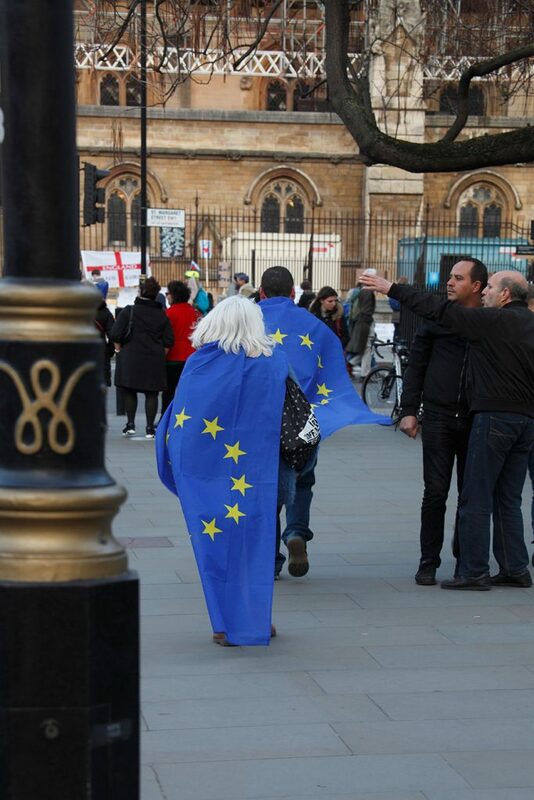 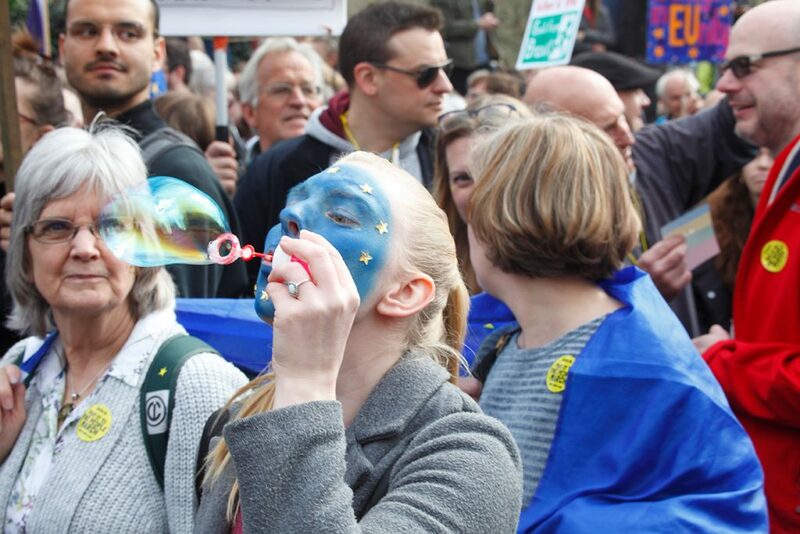 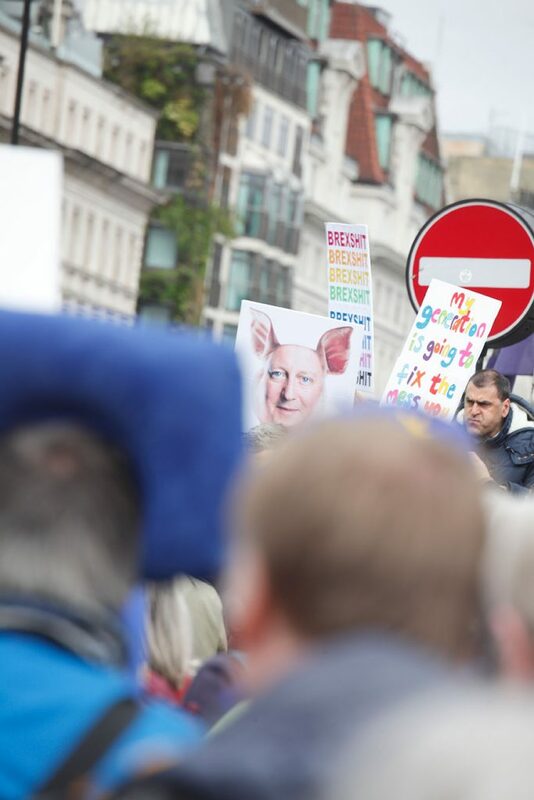 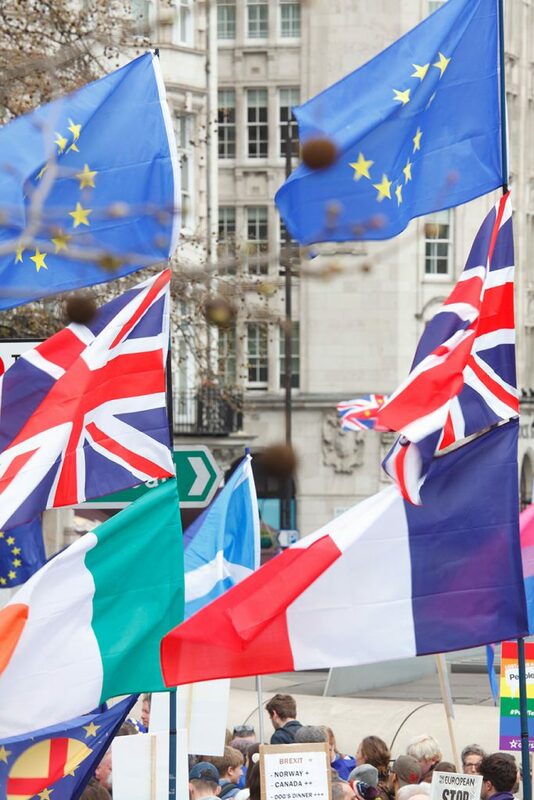 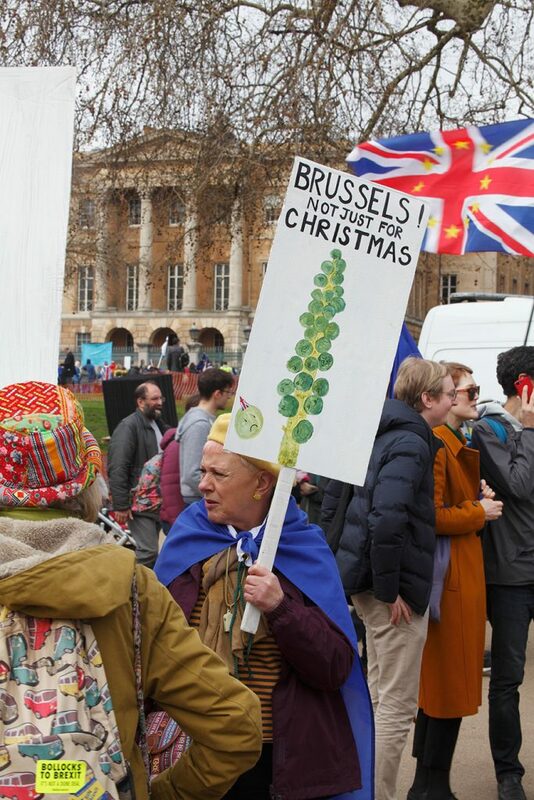 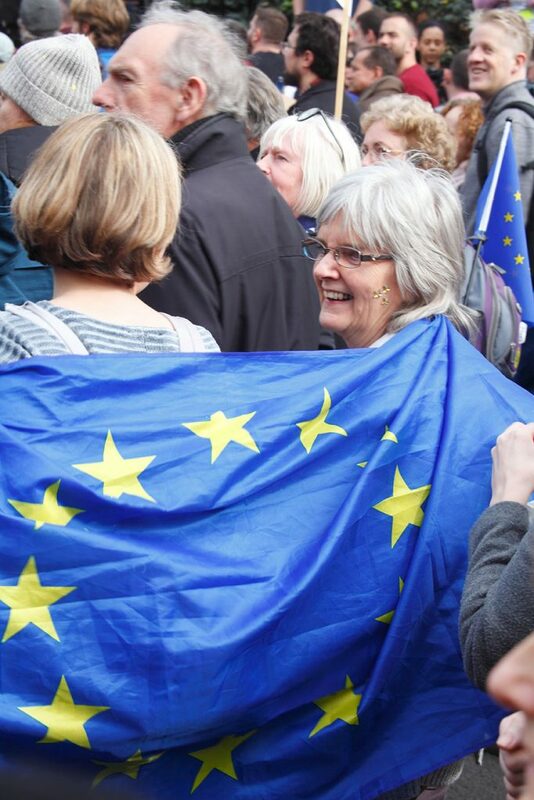 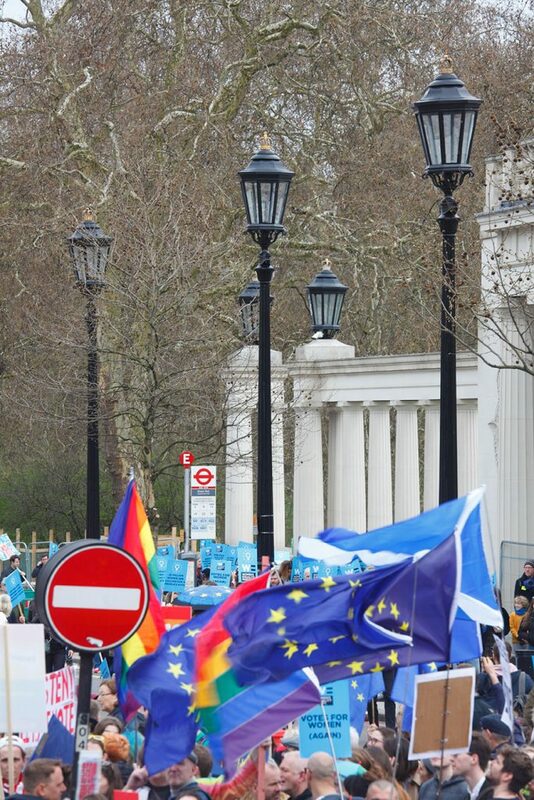 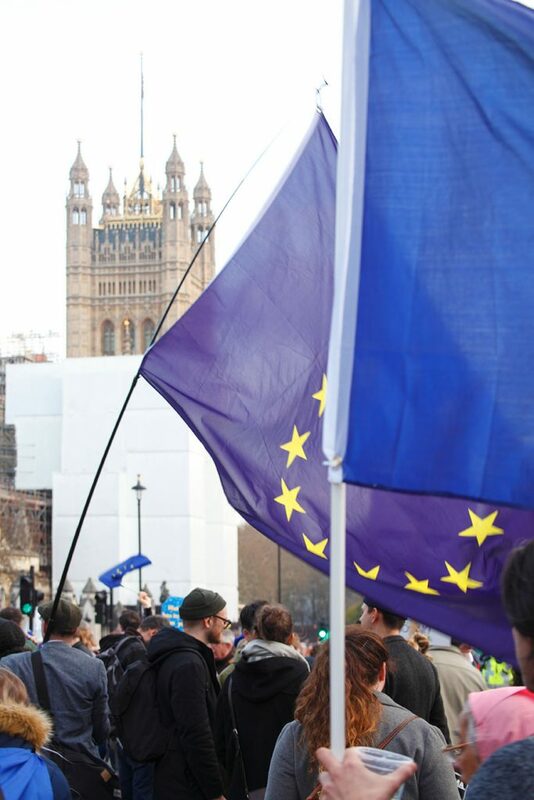 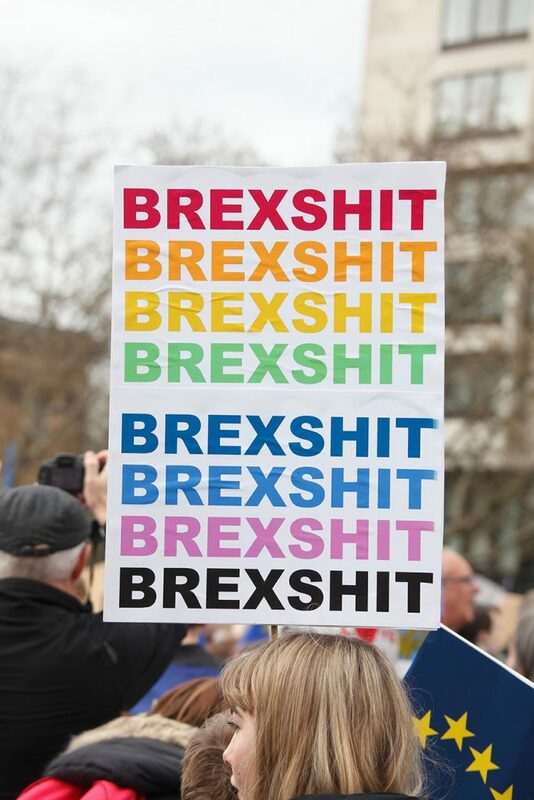 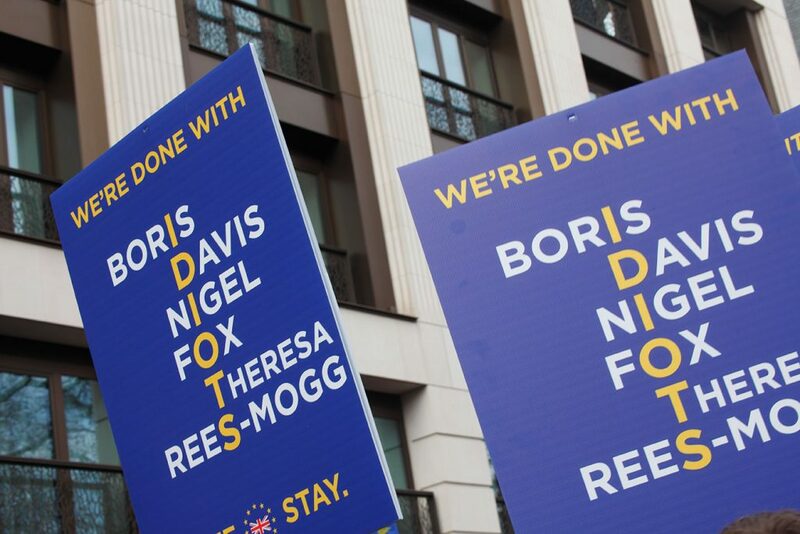 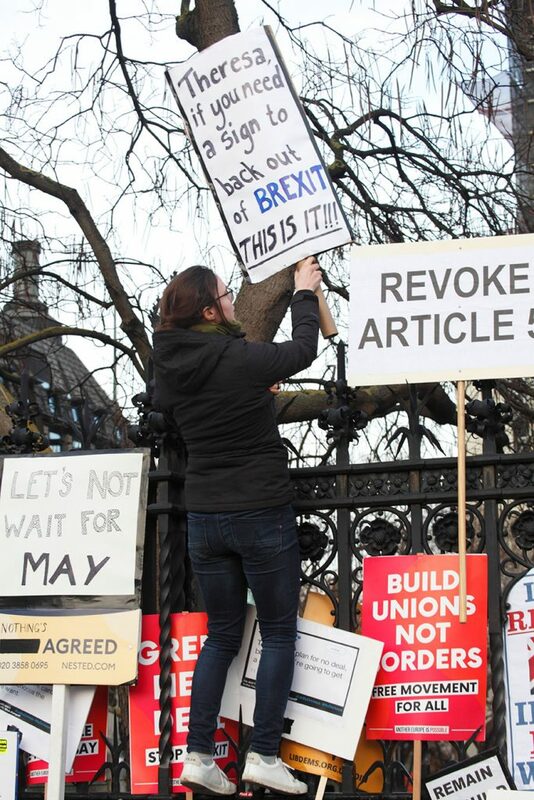 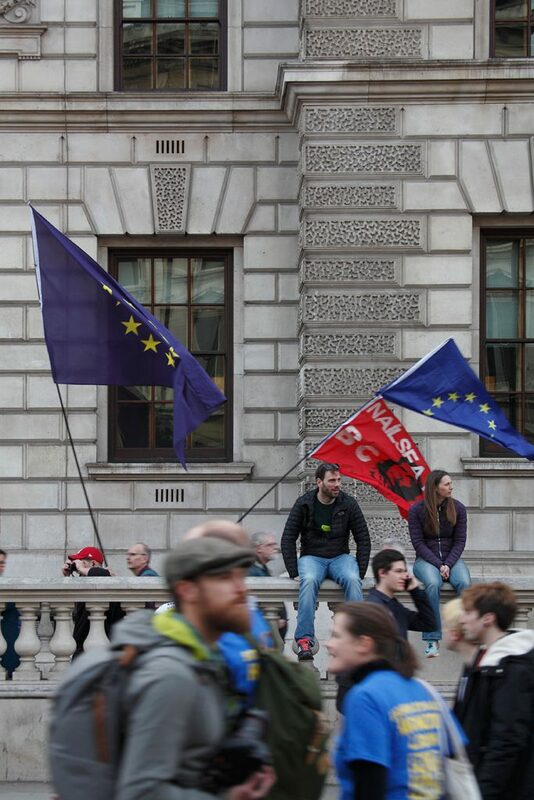 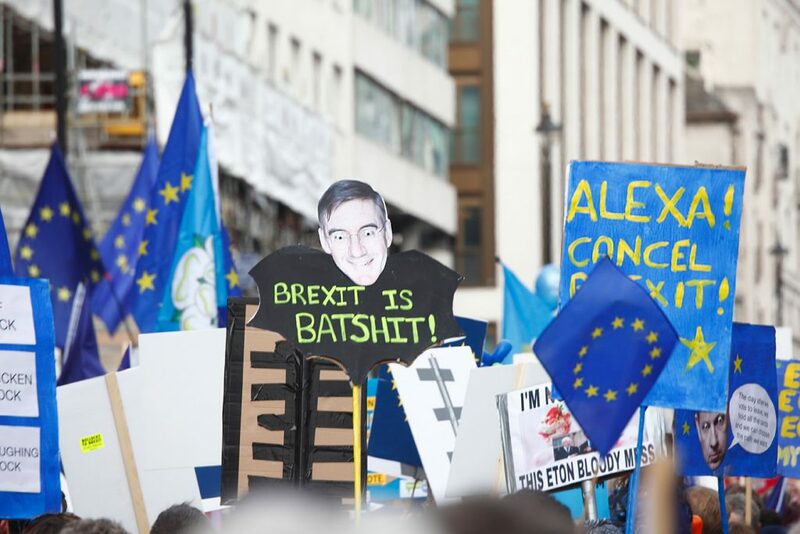 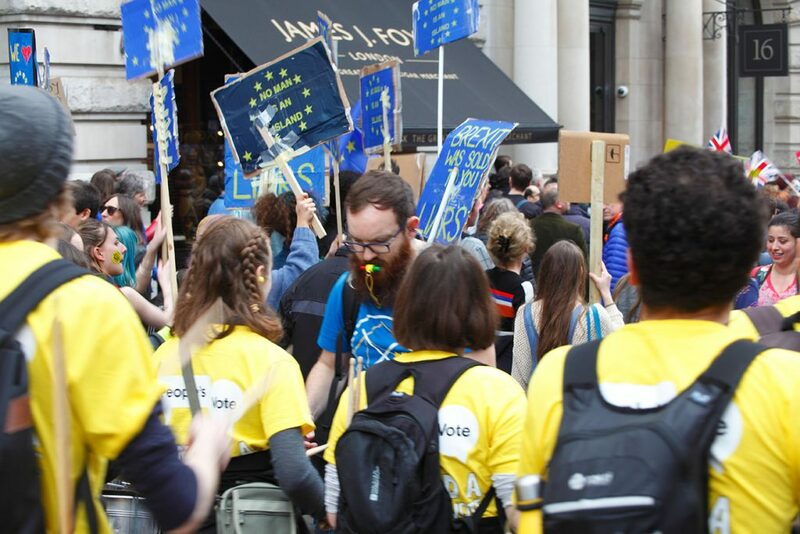 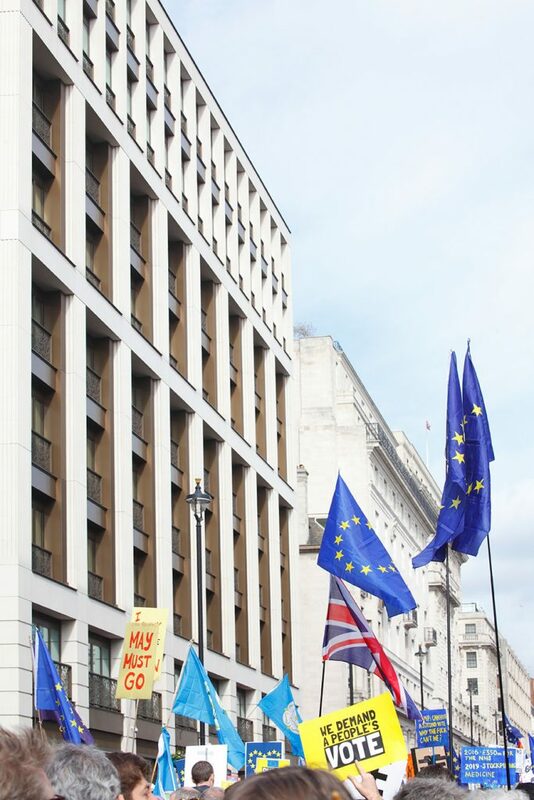 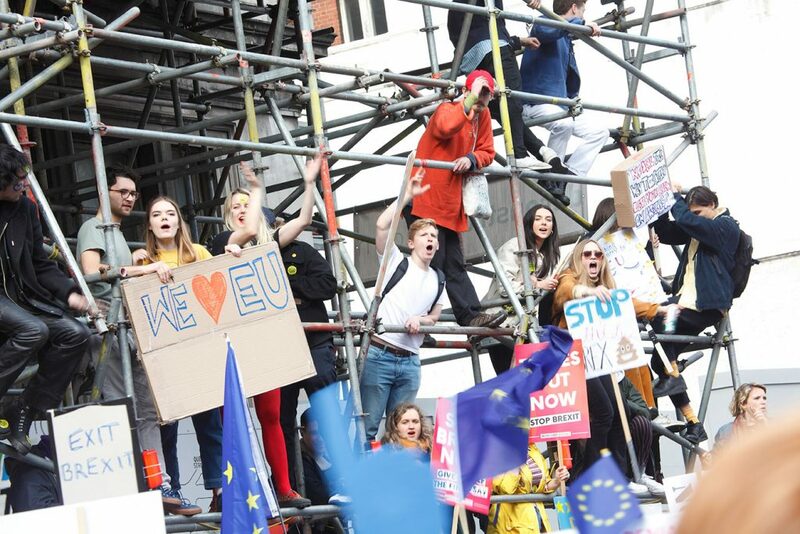 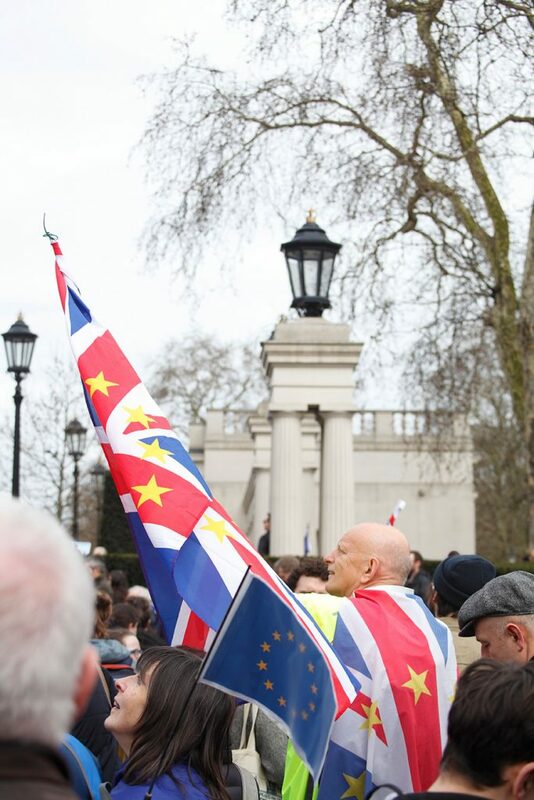 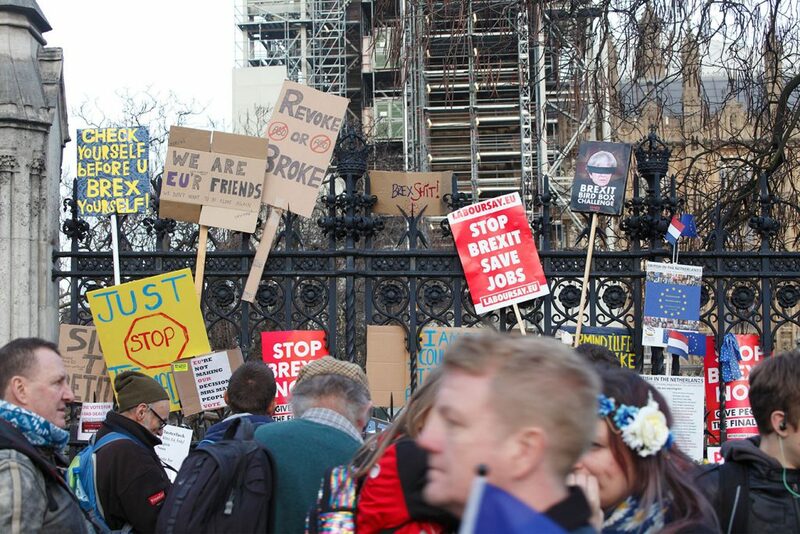 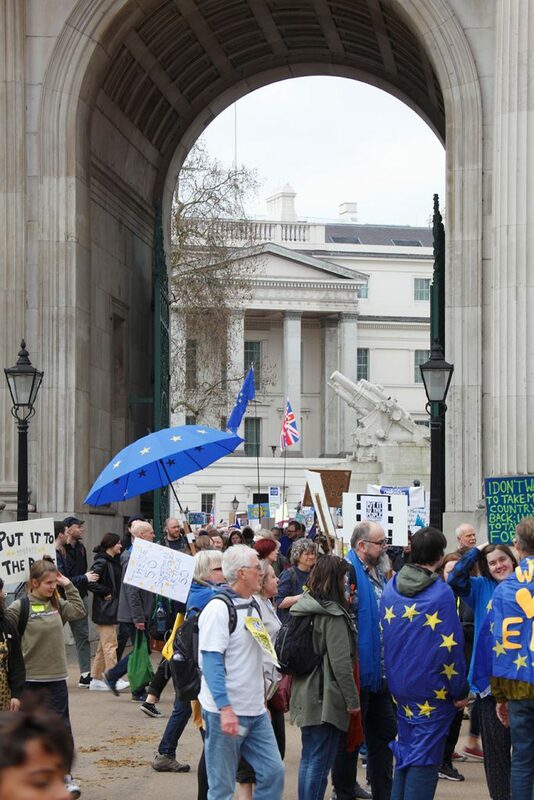 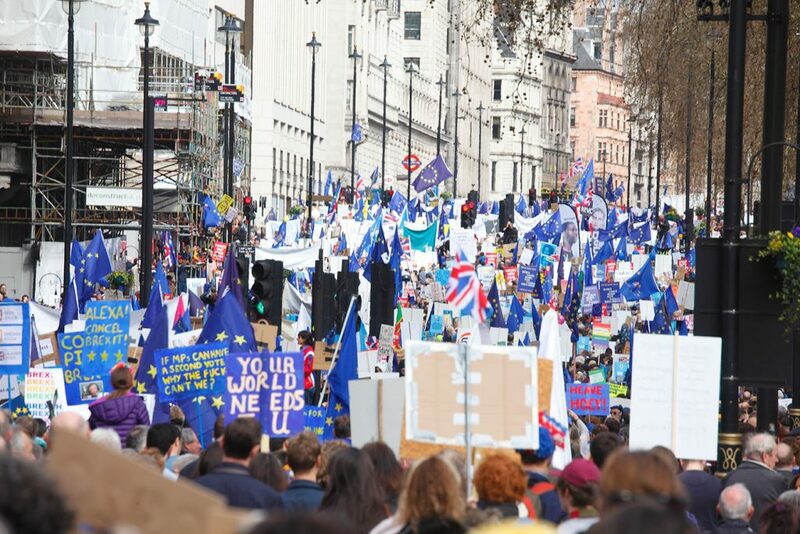 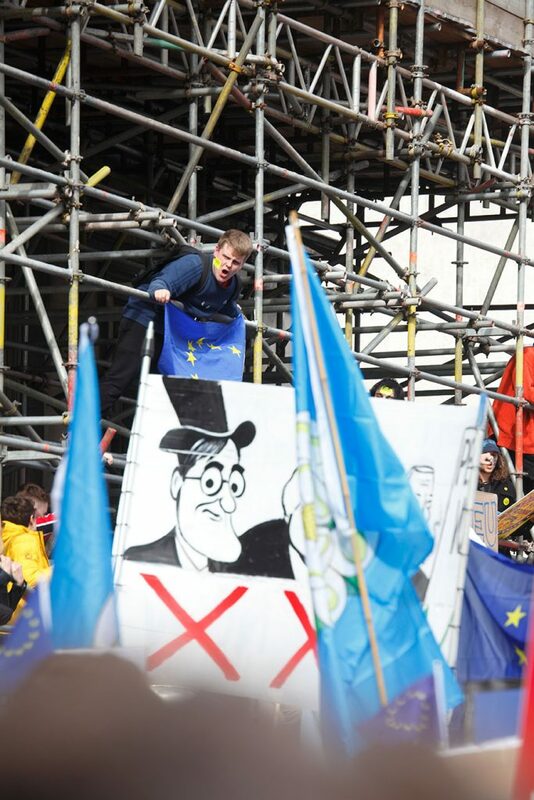 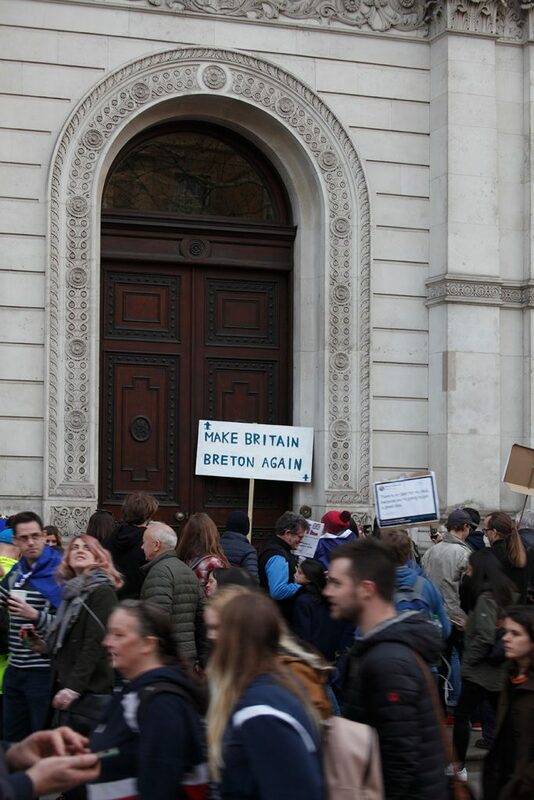 A forest of placards, some professionally and stylishly executed, others roughly cobbled together, but no less powerful, jutting from a blue sea of European flags. 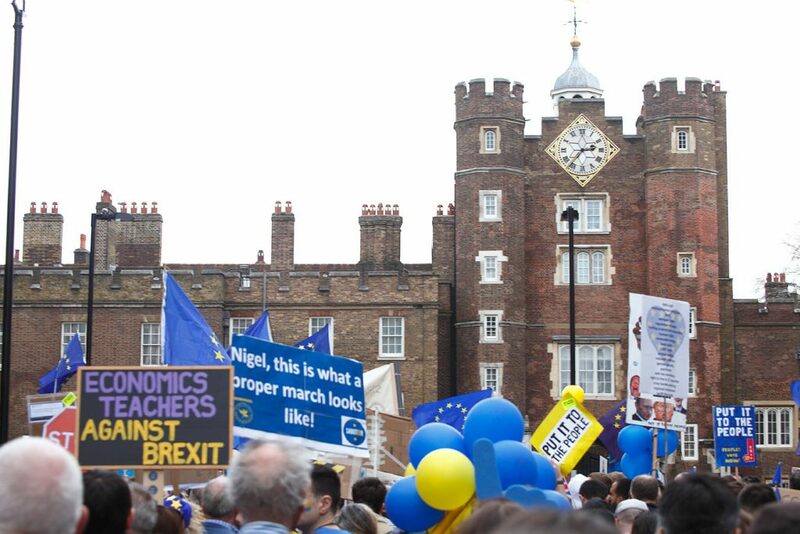 But I was also drawn to the buildings and monuments, which formed the backdrop to the day’s events. 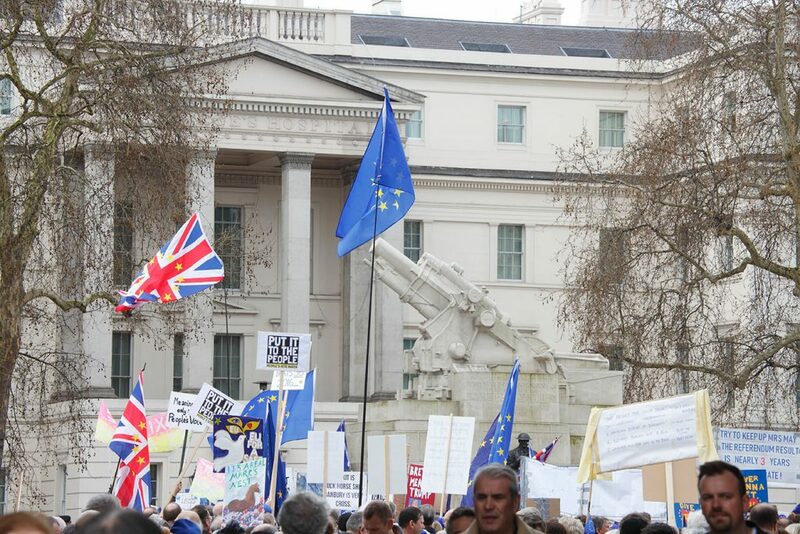 Grand facades and statues looking on silently, as they have on countless other such occasions. 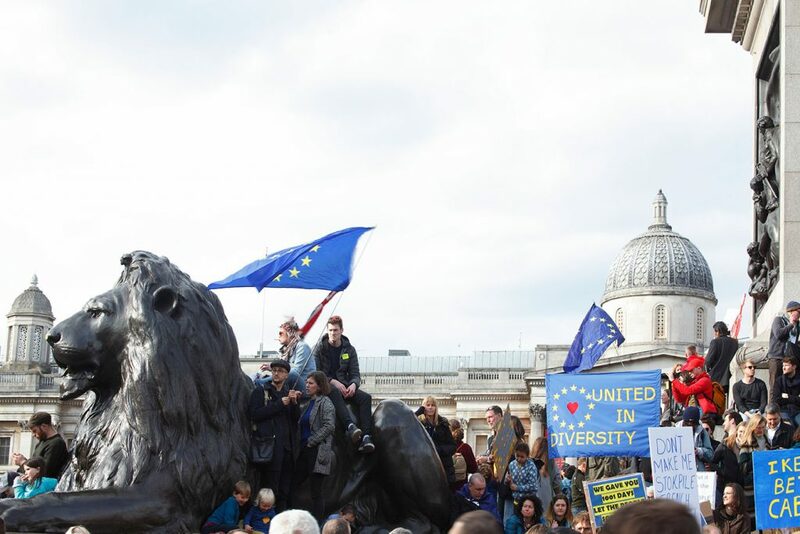 Detached, impartial, but also very much part of the spectacle, with every vantage point occupied; steps, balustrades, traffic lights, scaffolding, and of course, Landseer’s lions. 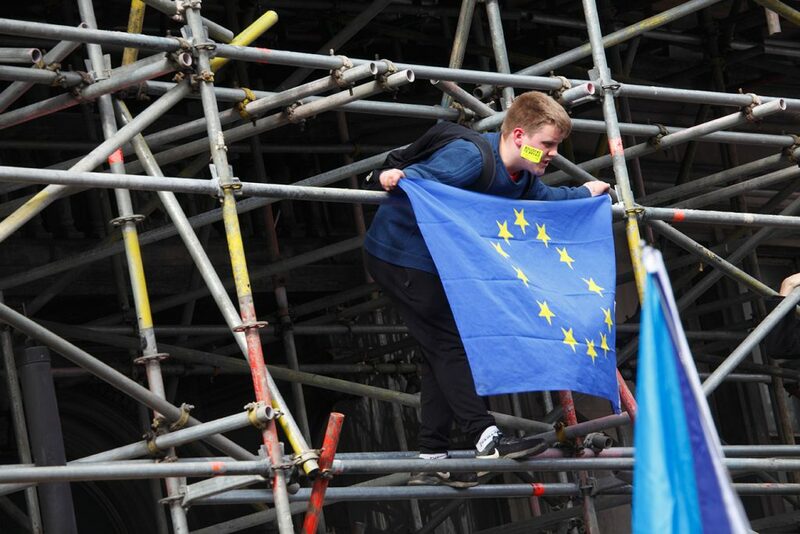 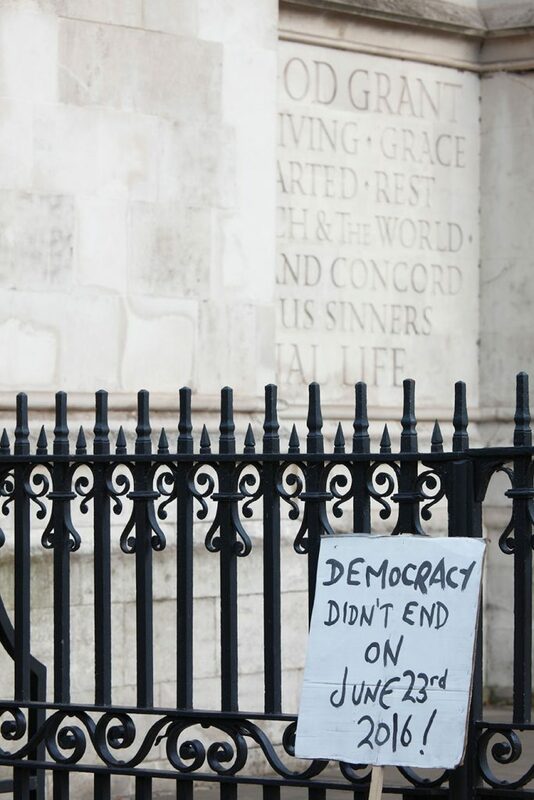 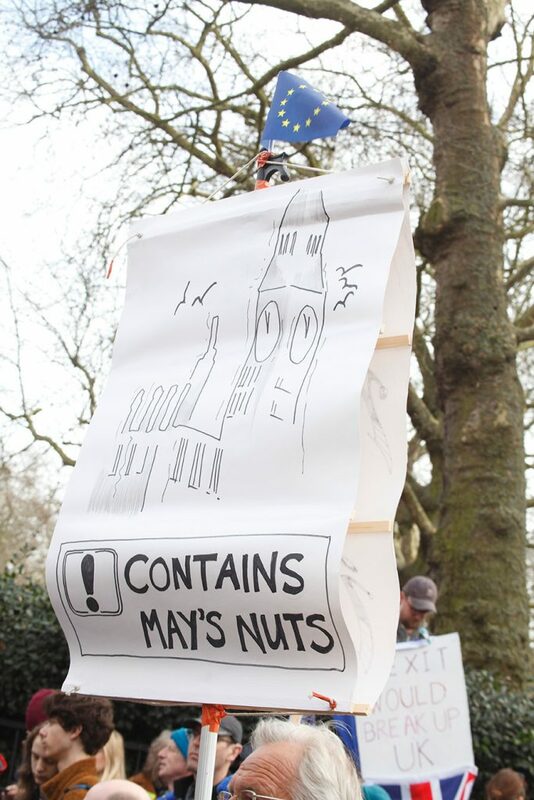 When the march reached its destination, the pitiful state of Big Ben and the Houses of Parliament, a collapsing edifice, shrouded in scaffolding, couldn’t better describe the state of the nation.